Today we begin a series on various things in Chinatown Hawaii. 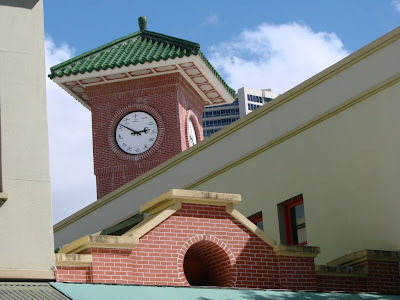 This historic district is located in downtown Honolulu right across from Honolulu Harbor and has long been a gateway to Hawaii for many immigrants. Chinatown is a colorful and eclectic blend of many Southeast Asian Cultures. We begin our look with this Chinese clock tower notice the Chinese characters instead of numerals. Throughout the week we will look at some of the sights in Chinatown and share some of its history. 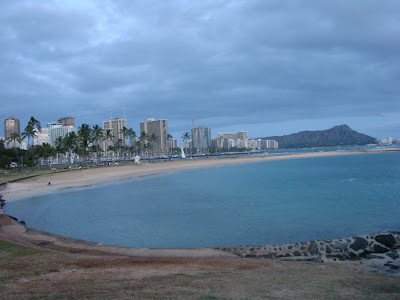 As we approach the “Thanksgiving Weekend” we take a look at Diamond Head from the Magic Island part of Ala Moana Beach Park. A lot of families in Hawaii will be heading over to the beach during this upcoming weekend and of course like the rest of the nation eating some turkey as we celebrate Thanksgiving. On behalf of Global Hawaii Blog I would like to wish everybody a happy, fun & family filled Thanksgiving. If you brave the malls on “Black Friday” may you find a great shopping deal. I’ll be relaxing with family and friends and of course getting my share of football and turkey and will see everybody back here on Monday. 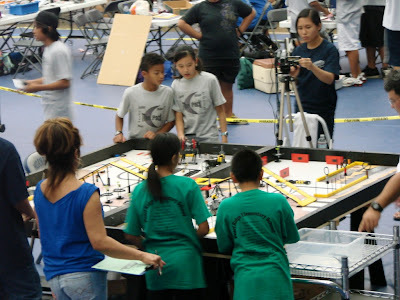 Students compete at the Central Oahu regionals of the Hawaii FIRST LEGO League tournament. There are nine regionals on Oahu, Maui, Big Island and and Kauai with the top teams from each regional competing on December 19 for the Hawaii FLL Championship at the Neal Blaisdell center. Teams were judged on avoiding impacts with warning beacons, sensor wall, keeping their crash test figures on board and completing various tasks with a 3 minute time limit. This all occurred in front of a live audience creating a very exciting environment. Results for each region can be found here.